The onset of free agency has already unleashed a barrage of player movement that has altered their value and reshaped the rosters of all teams that were involved. 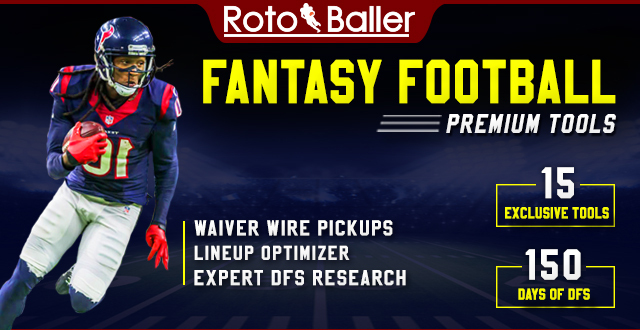 As the weeks unfold more changes in destinations and expectations will impact your decision-making process as you manage rosters in Dynasty leagues, and prepare for the draft process in Best Ball and Redraft leagues. 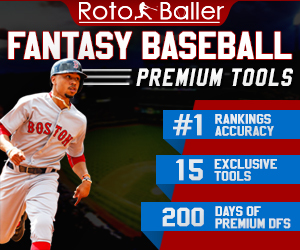 The team at RotoBaller continues to provide you with up-to-the-minute analysis, statistics and thoroughly researched recommendations as each new development impacts the fantasy landscape. 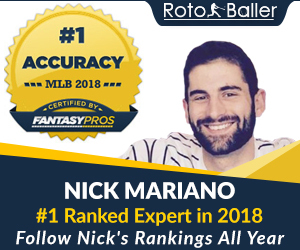 All of which remains part of our continuing efforts toward helping you win your leagues in 2019. The updated fantasy values of both Antonio Brown and Odell Beckham Jr. were examined after their well-chronicled trades. That will keep the focus of this article on signings that have occurred at the wide receiver position during the initial days of free agency. This includes analysis of which receivers appear primed for an increase in their production, and which players will experience a decline in their value due to the change in their environment. Even though Funchess' stock experienced a steady decline throughout 2018, he is still just 24-years old and remains one season removed from tying for seventh among wide receivers in touchdowns (8). He also led Carolina in red zone targets (15) and receiving yards during 2017 (840) while finishing second in targets (111) and receptions (63). His usage steadily declined during 2018 to the point in which Funchess only played on 32% of the Panthers’ offensive snaps from Weeks 13-16. However, his value has risen sizably due to the prospects of operating as the Colts’ WR2 while collecting passes from Andrew Luck. The 6'4", 225-pound Funchess provides Luck with an enticing weapon in the red zone, while also presenting owners with a viable option in the middle rounds of their drafts. Baltimore's transition to the Lamar Jackson era quickly eviscerated Brown's role in the Raven offense after he had averaged 7.4 targets-per-game from Weeks 1-9. Now, his value elevates considerably as the result of his relocation in Buffalo. 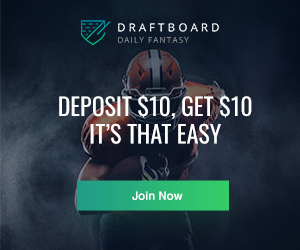 The former 1,000-yard receiver should deliver his highest output since 2015 (65 receptions/1,003 yards/7 touchdowns) while supplying a downfield presence for strong-armed Josh Allen. Any health concerns about Brown should be offset by the reminder that he performed in all 16 contests last season, even though his opportunities were virtually eliminated once Baltimore's passing game became an afterthought. Even with Cole Beasley joining a blend of receiving options that already contained Zay Jones and Robert Foster, Brown's blazing speed should equate to a favorable number of productive games during the season. This makes him a legitimate WR3 in redraft leagues, and an excellent target for anyone who is participating in the Best Ball format. It will be difficult for Tate to recapture the value that he attained from 2014-2017 when he accumulated 527 targets, 372 receptions and 4,224 yards. However, the four-year contract that he signed with the Giants has elevated his value considerably after the precipitous drop that it experienced late in 2018. Tate was 10th overall in targets after Week 8 and was averaging 74 YPG, but only averaged 4.25 targets and a minuscule 21 YPG from Weeks 14-16 with Philadelphia. He cannot replace the unique game-breaking capabilities of Odell Beckham Jr. But he will supply the Giants with a proficient presence in the slot, within a receiving unit that would otherwise be reliant on Sterling Shepard and Corey Coleman, Tate should assemble respectable weekly production that will allow owners to confidently start him as a high-end WR3 or WR2 option. The former Redskin should operate effectively as the Jets' weapon from the slot, and his quickness and route running capabilities represent a clear upgrade in talent over predecessor Jermaine Kearse. Crowder's best production was attained in 2016 when he led the Redskins with seven touchdowns while achieving career highs in receptions (67) and yardage (847). He missed Weeks 6-12 last season due to a lingering ankle issue. But Crowder won't turn 26 until June and will join Robby Anderson and Quincy Enunwa in comprising the Jets' primary arsenal of wide receiving options. He should garner a sufficient number of targets to generate respectable numbers as an outlet for Sam Darnold, which will enable him to function as a flex option throughout the year. Williams' career-best numbers were all generated in 2016 (119 targets/69 receptions/1,059 yards 7 touchdowns) as his snap counts during the past two seasons - (76.5%/80%) - have not translated into dependable weekly production. There is nothing about Williams' impending role which would indicate that an increase in consistency is imminent, as he will be working within a reshaped passing attack that will also include the monstrous presence of Brown, and newly signed J.J. Nelson. But the 27-year-old Williams receives a slight rise in value, as he should have a clear WR2 role with less competition for targets then he faced with the Chargers. He has not missed a game since 2015, and his potential as a downfield threat will result in productive performances that are interspersed with a cluster of quiet weeks. 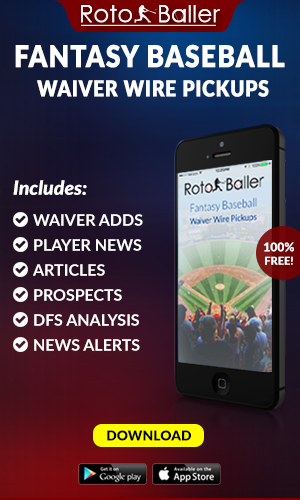 That presents Best Ball and redraft owners with a viable target as their drafts progress through the middle rounds. The 11-year veteran migrated to the Eagles via trade as opposed to free agency. But he maintains sufficient relevance to merit a bonus discussion. Even though he has remained on the field through an entire 16-game season just twice in his career, he still offers the potential to explode for huge gains. Jackson led the league in 2018 with an 18.9 yards-per-catch average and has stockpiled 24 career touchdown receptions of 60+ yards. His strengths do not translate into a reliable weekly source for fantasy points, but that has never been an incentive for having Jackson on your rosters. His ability to provide Philadelphia with a much needed downfield threat makes him a flex option in redraft leagues, and a viable Best Ball target. In 2015, Moncrief was targeted 105 times, collected 64 receptions and generated 733 yards. Those remain his career highs, as he has averaged just 35 catches and 455 yards during his last three seasons while building a collection of disgruntled owners during that span. But Moncrief's one-year tenure in Jacksonville has ended, and while it may be difficult to trust him, he has landed in a favorable situation. He will have the opportunity to earn snaps and receive targets from Ben Roethlisberger. This raises his value, as he has become a contender for Pittsburgh's WR2 role. Humphries' four-year contract with Tennessee allows the 26-year-old to instantly seize responsibilities in the slot, after accumulating 2,329 yards, 219 receptions, and nine touchdowns in four seasons as a Buccaneer. He also established new career highs in targets (105), receptions (76), yardage (816), and touchdowns (5) in 2018. But he has departed a Tampa Bay passing offense that ranked first in 2018. Buccaneer signal-callers Jameis Winston and Ryan Fitzpatrick launched 625 passes which represented the fourth-highest total in the league (329 YPG). That was nearly 200 more attempts than Tennessee manufactured (437) as the Titans' passing attack ranked just 31st overall (186 YPG). Humphries is in position to ultimately finish second in targets and receptions with Tennessee. But his value has now diminished due to the ongoing limitations and constrained statistical ceiling of the Titan passing attack. All of which will keep Humphries from reaching his 2018 output. The addition of Beasley seemingly provides the Bills with an ideal fit. He can serve as a reliable slot option for Allen while functioning in coordination with the newly-acquired Brown, and Buffalo's commitment to the ground game. However, Beasley will not only be contending with Brown for targets, but the aforementioned Jones and Foster are also candidates to pilfer opportunities. Some of those targets could be accrued at Beasley's expense as Jones is capable of operating in the slot. Beasley's transition to the reshaped Bills' passing attack does not necessarily guarantee significant regression from a statistical standpoint, as he averaged just 67 targets, 46 receptions, and 467 yards in seven seasons with Dallas. But his value certainly has not increased, and he is not a candidate to amass sizable yardage or reception totals with any consistency. This should not compel owners to trust him on a weekly basis. There were more dynamic options for the Lions to secure as their slot receiver. However, they did successfully locate a replacement for the void that was created by jettisoning Golden Tate to Philadelphia. Amendola will perform adequately within the structure of Detroit's evolving offense. But an increasing reliance on the run, coupled with the presence of Kenny Golladay and Marvin Jones create a formidable challenge for owners to locate any rationale toward entrusting him on their rosters. The 33-year old Amendola actually led the Dolphins in targets (79), receptions (59), and yardage (575) during his one season with Miami. But that production equated to an unimpressive WR69 finish in scoring, and his output this season might not reach the numbers that he attained in 2018. The former first-round pick displayed a semblance of big-play capabilities by accruing 76+ yards for Cleveland in Weeks 13 and 16 and had verbally agreed to resign with the Browns. But the acquisition of Beckham prompted him to request that the arrangement be rescinded. He became a Buccaneer hours later and will be located on Tampa Bay's depth chart below Mike Evans, Chris Godwin, and Justin Watson. The change in venue relegates his value to late-round flier status in deeper leagues, although he may have a chance to see more targets than if he were stuck in Cleveland.